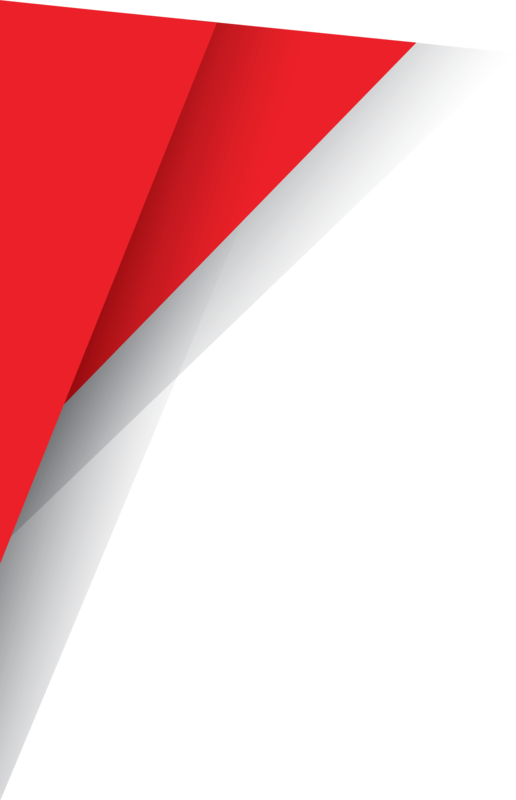 YMCA New Zealand is affiliated to the World Alliance of YMCAs, a global Christian Movement working for social justice for all youth, regardless of religion, race, gender or culture, reaching 58 million people in 119 countries worldwide. Founded in 1844, the World Alliance of YMCAs is the oldest and largest Movement for youth in the world. There’s more to us than you think. The YMCA was founded in London England by 22 year-old George Williams and 11 of his friends. The YMCA was established as a refuge of prayer and bible study, and an escape from the hazards of life on the streets of London. 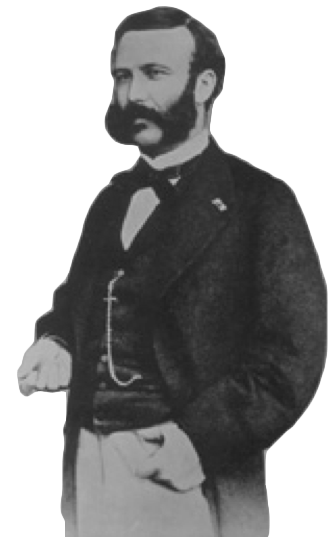 As a young man, Henry Dunant began organising prayer groups and bible studies from his home. He went on to co-found the YMCA of Geneva in 1852. His enthusiasm and passion to have a truly international movement led to the first ever International YMCA Conference. He would later go on to found the International Committee of the Red Cross, and win the first ever Nobel Peace Prize in 1901. 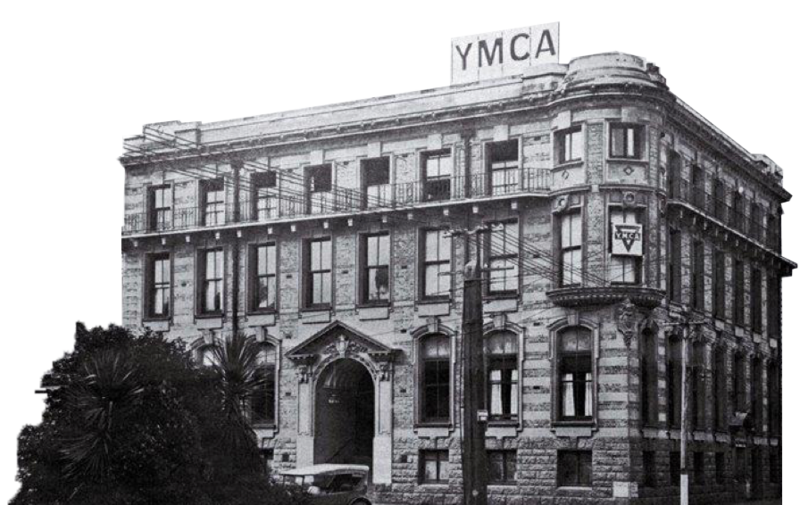 The first YMCA in New Zealand was formed in Auckland circa March 1855. The first annual meeting of YMCA Auckland was held in Durham street. 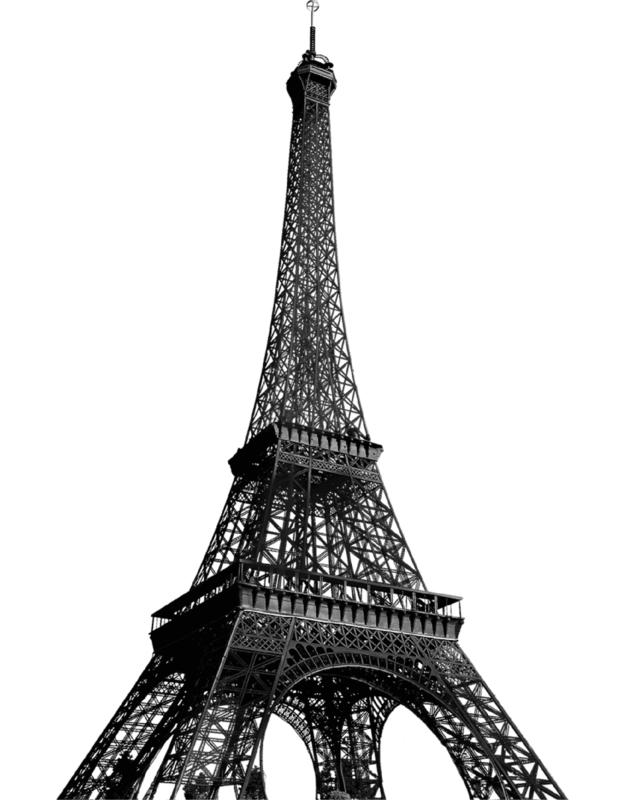 The Paris Basis was adopted by the delegates of the First World Conference in Paris in 1855. "...and to associate their efforts for the extension of his Kingdom amongst young men. Any differences of opinion on other subjects, however important in themselves, shall not interfere with the harmonious relations of the constituent members and associates of the World Alliance." The first YMCA World conference was held in Paris. It brought together 99 young delegates from nine countries. The Conference sparked the beginning of the Central International Committee that would eventually become the World Alliance of YMCAs. The YMCA of Nelson was established in 1860. In Dunedin, work started in 1861 with Bible study and prayer groups. Later the activities included public evangelistic services. 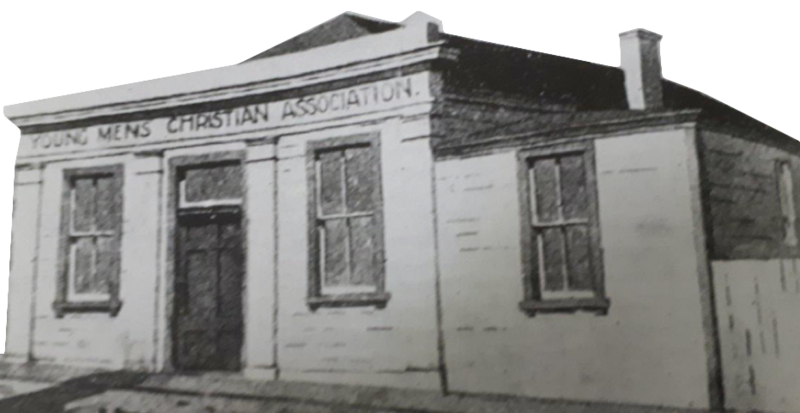 YMCA Christchurch founded as a group which met for religious fellowship, prayer and Bible study, but later included educational classes, athletics and lectures in its activities. The YMCA of Wellington was established in 1866. 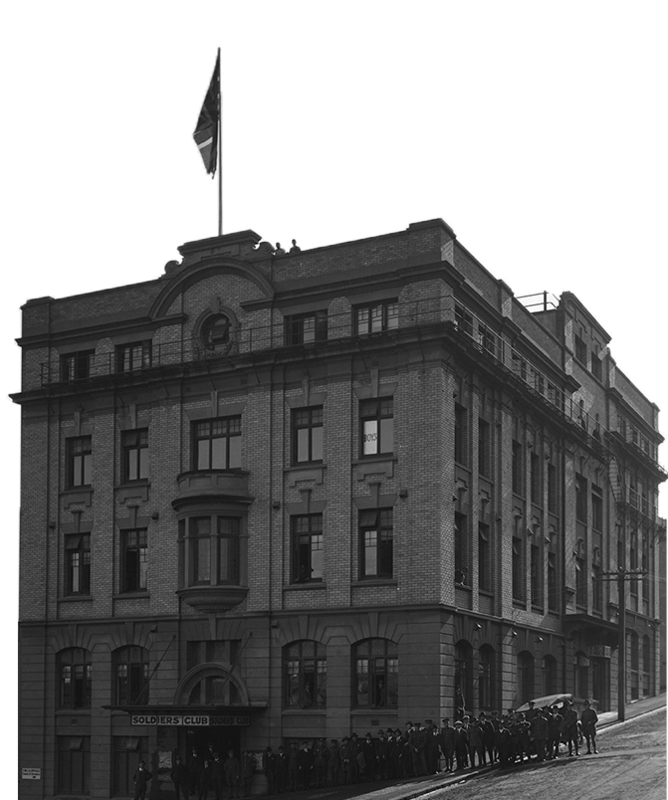 The YMCA of Invercargill was established in 1876. The first meeting of YMCA Australia and New Zealand was conducted in 1877. The Second joint conference between YMCAs Australia and New Zealand was in Melbourne, where both nations adopted the Paris Basis. 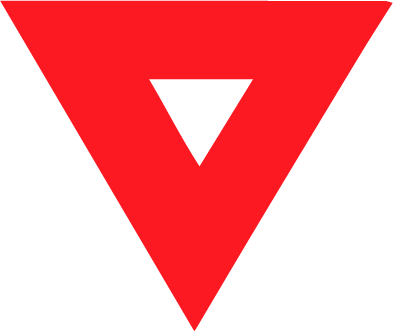 New Zealand’s fourth YMCA was established in Taranaki in 1881. 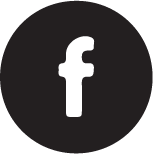 The National Council of the YMCAs of Australia and New Zealand was formed. This body was affiliated to the World Alliance. 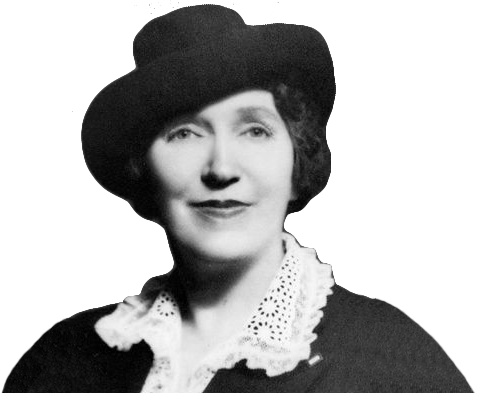 Ellen Brown became the first female employee of a YMCA and the first “boy’s work secretary.” She taught a night class that grew so rapidly that it became a department of the Y. 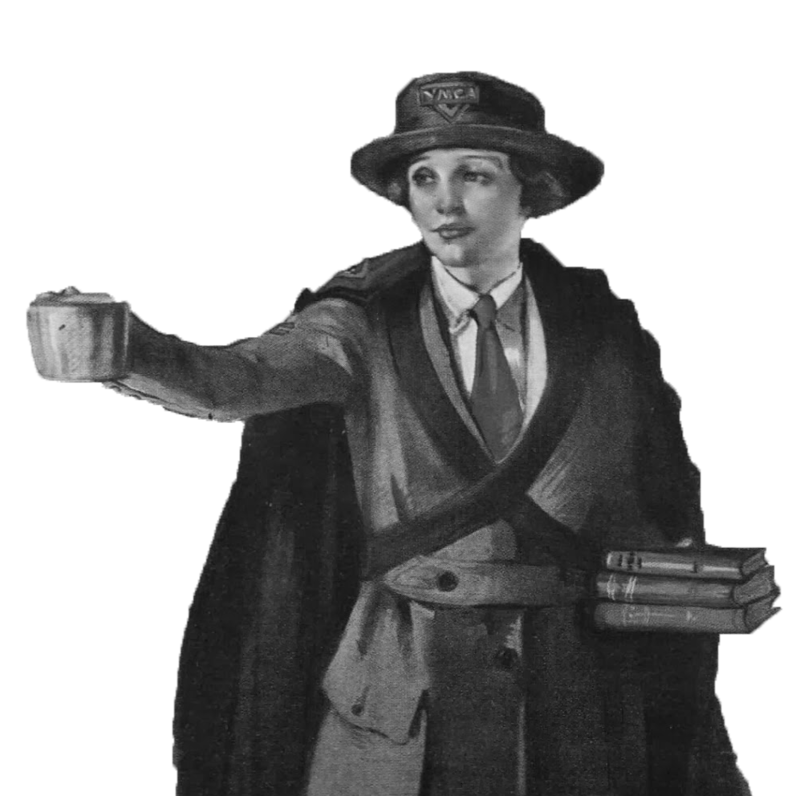 Of course, women served in unpaid roles in the YMCA movement prior to this milestone, including as volunteer teachers and fundraisers. 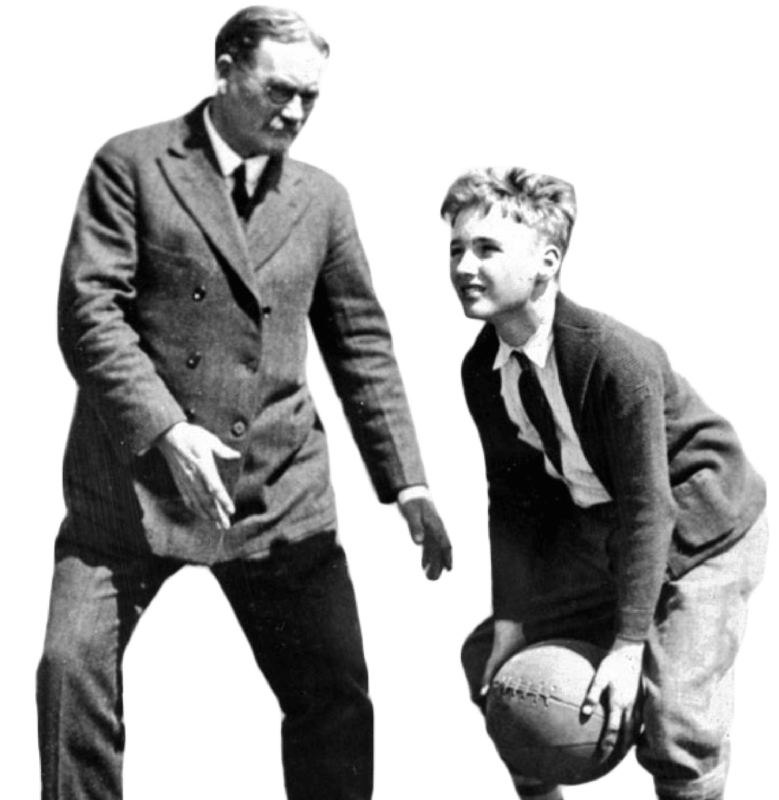 The first ever game of basketball is played- Invented by James Naismith, who worked for the YMCA International Training School in Massachusetts, USA. 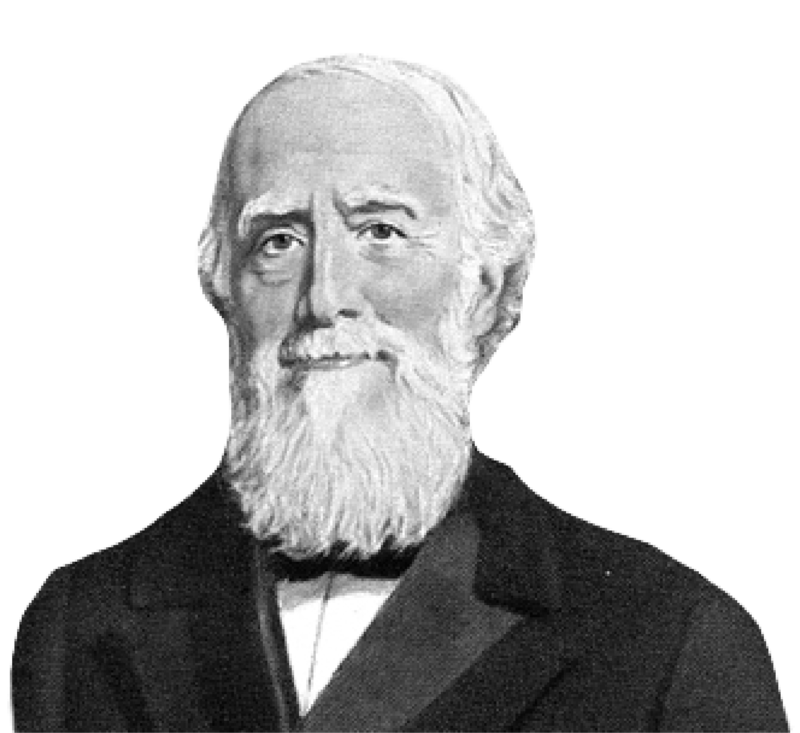 George Williams was Knighted by Queen Victoria on the 50th anniversary of his founding of the YMCA. 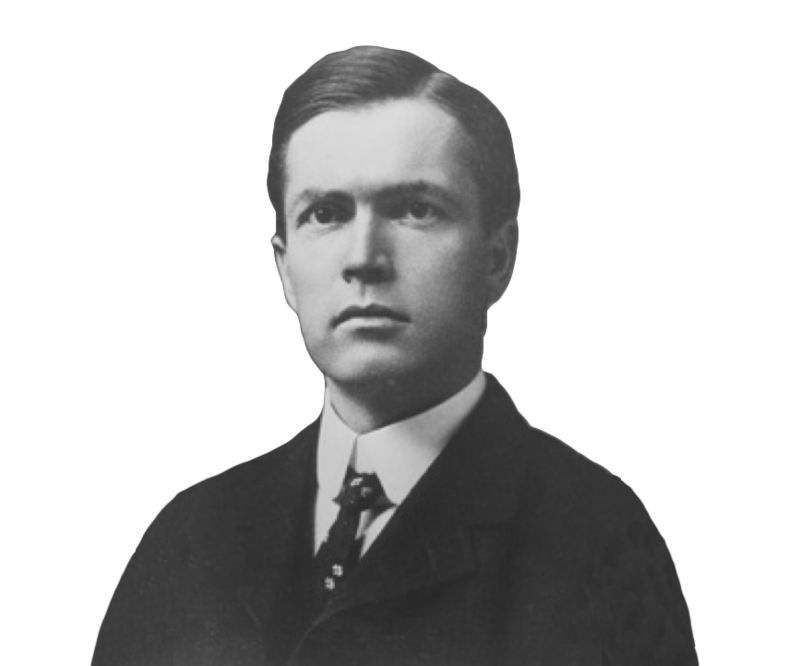 By the time he died in 1905, there were 45 YMCAs running all over the world with a membership of more than 700,000 people. Sir George Williams is buried in St Paul's Cathedral. 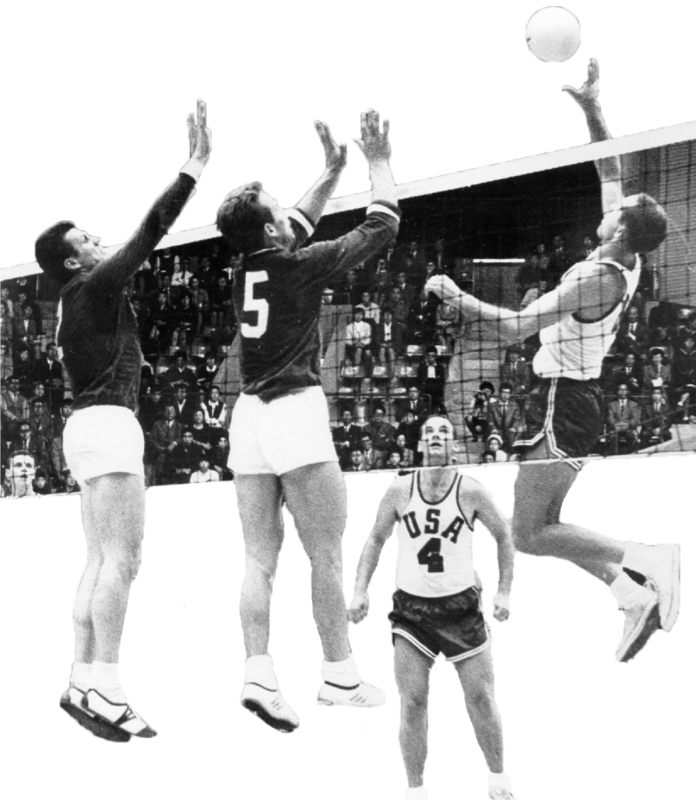 William G. Morgan, a YMCA instructor in Massachusetts, USA, invents Volleyball, as a game with less physical contact than basketball. 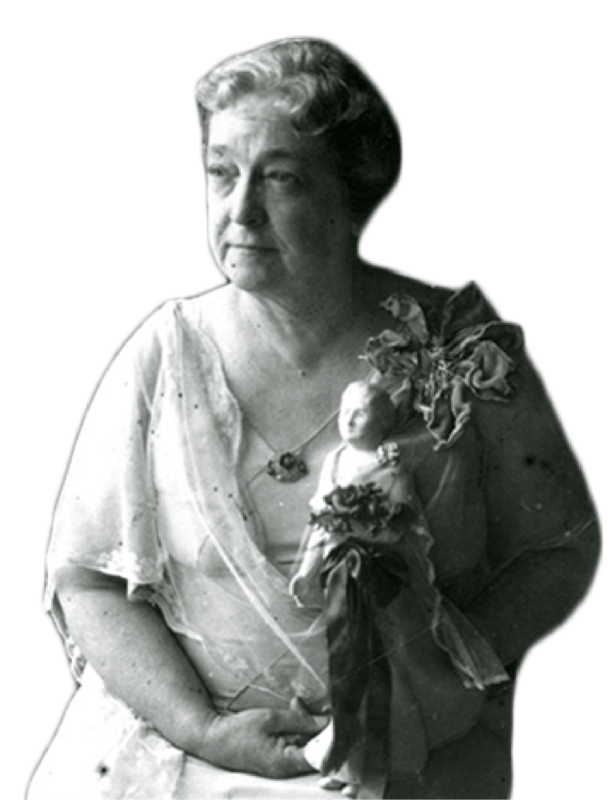 In 1909, Sonora Dodd attended a Mother's Day service at her church. Sonora’s mother had passed away during child birth and since then Sonora watched her father lovingly care for his six children and make sacrifices to give them all better lives. Sonora felt inspired to campaign for equal recognition of fathers, so she approached the YMCA and the Spokane Ministerial Alliance to establish Father's Day. The first Father's Day was celebrated on 19 June, 1910. A new YMCA building was designed by notable Auckland architect Alexander Wiseman. Its grand scale and design reflects the importance of the YMCA in that period. On the corner of Kitchener Street and Wellesley Street East, the building was originally five storeys and included a gymnasium and accommodation with 88 beds. It was officially opened by the Governor of New Zealand. YMCA New Zealand staff had worked with the armed forces since late 19th century providing social, religious and physical recreation programmes for servicemen. 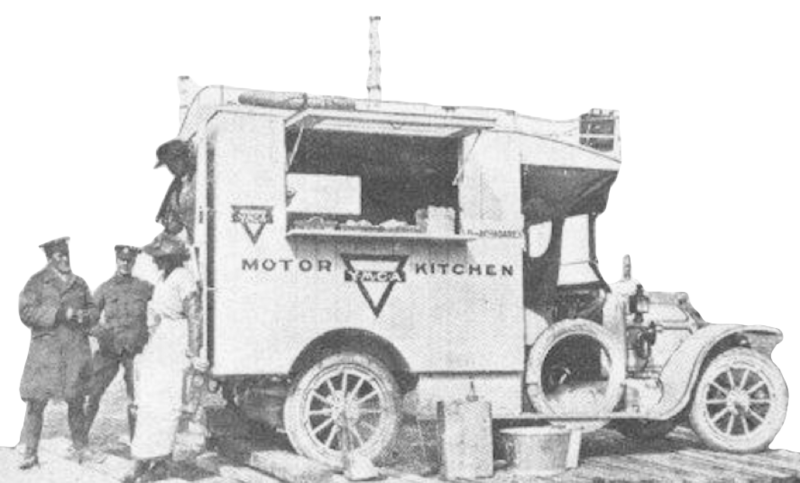 This travelling kitchen saw service in Boulogne. By 1917 there were 15 NZ YMCA centres in the fighting area of France, every one within range of German shells and none more than 4 miles from the frontline. Most of the allied armies on the western front had YMCA units attached to them for recreational, educational and comfort services. They organised an accommodation club in London for New Zealand soldiers and had field services in France. 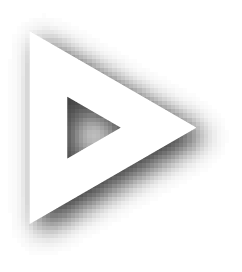 "Most soldiers stayed at the YMCA or the New Zealand Soldiers Club. This, a soldier declared, was `the best place I struck and the cheapest. The food was splendid and the beds good. Tariff, bed eightpence; breakfast eightpence; dinner one shilling and ten pence." In 1916, New Zealand withdrew from the joint Council and formed its own national body. YMCA member, Moina Michael, created the red flanders field poppy as a symbol of remembrance for those who served in World War I. Inspired by the famous wartime poem, Moina sold silk poppies to raise money for ex-soilders. Her campaign was so successful that the poppy has been adopted as an international symbol of remembrance. The Chatham Cup is New Zealand's premier knockout tournament in men's association football. 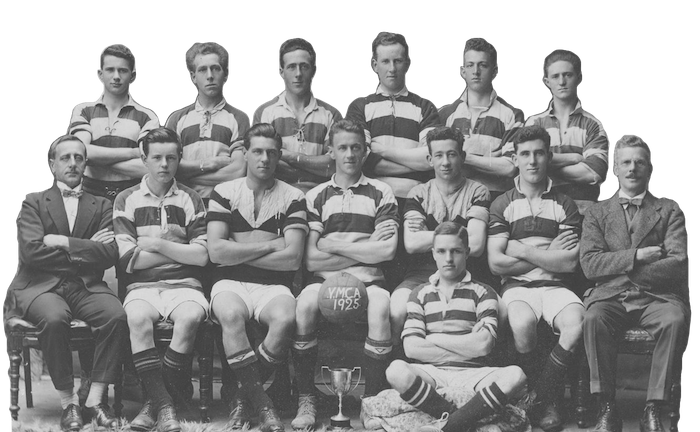 The first ever match was played in 1923 between Seacliff (Otago) and YMCA (Wellington). Seacliff won the first match, but YMCA took their revenge and won in 1925. Henry Walter Kersley was unanimously elected to be the first President of The National Counclil of YMCAs in New Zealand in 1926. He was a foundation member, Director of the Wellington Association for twenty five years before he became the chairman of the National committee in 1916. 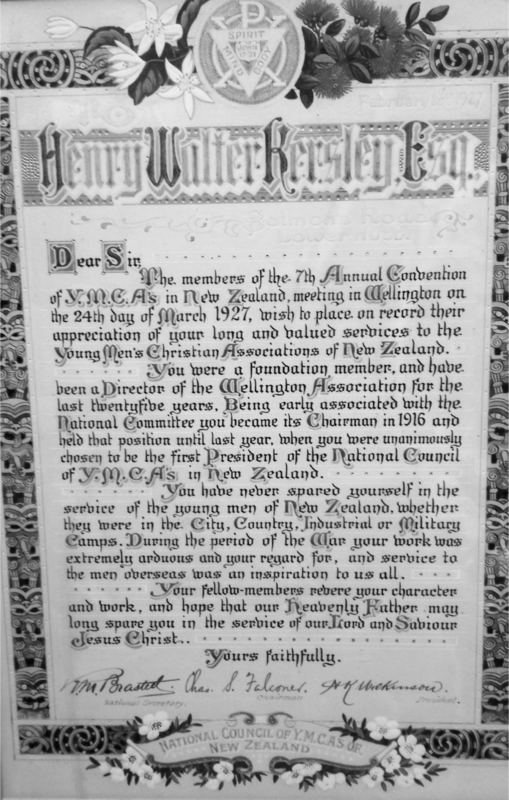 This certificate was awarded in 1927 to appreciate him for his long and valued services to the YMCAs of New Zealand. The World Alliance of YMCAs was awarded the Olympic cup by the International Olympic Committee. 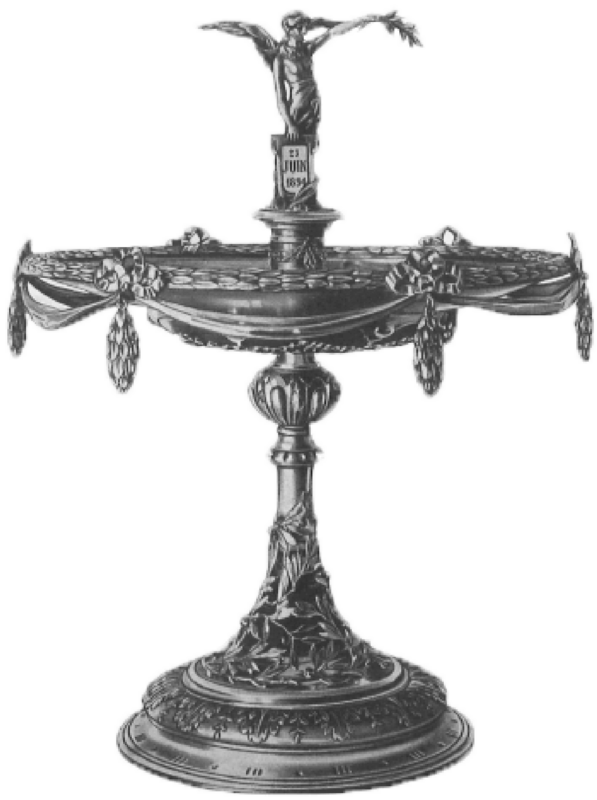 The Olympic Cup was instituted by Pierre de Coubertin in 1906 and is awarded to an institution or association with a record of merit and integrity in actively developing the Olympic Movement. Basketball, a YMCA invention, became an Olympic sport at the Berlin Olympics. The first Olympic tournament was held on outdoor tennis courts. USA won gold, and has continued to dominate the sport since. 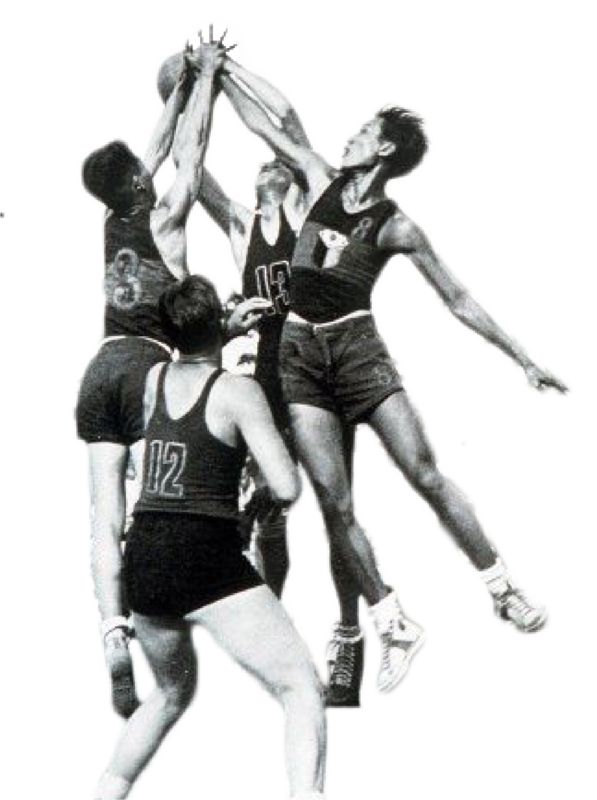 From 1948, Olympic basketball tournaments were played indoors. During World War II, the YMCA again geared all of its efforts to helping New Zealand soldiers abroad. YMCA theatres sprang up in the Pacific theatres. The National Council of YMCAs operated a total of 218 centres, again providing full recreation services, canteens, hostels, mobile units and cinemas. This YMCA-run canteen London was a familiar meeting place for soldiers on leave. 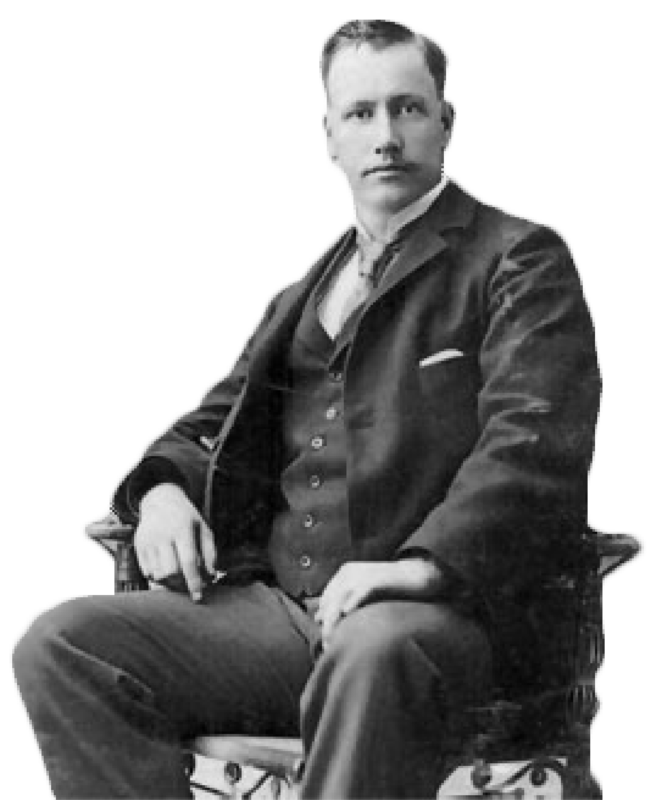 John Mott was born in New York on 25 May 1865. He was a student at Cornell University, and President of the student YMCA. 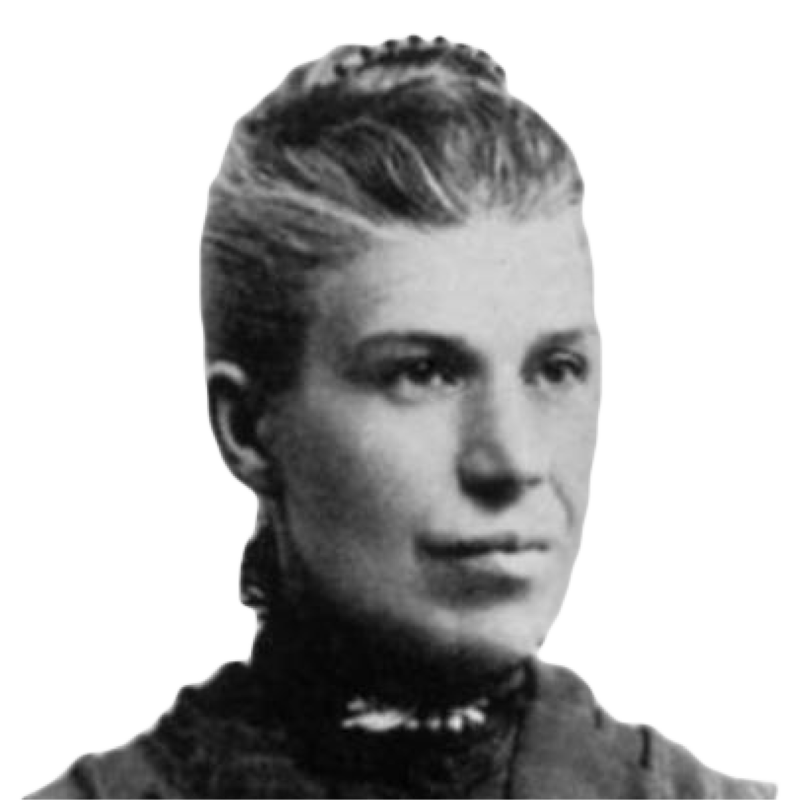 Mott organised the World’s Student Christian Federation in 1895 and went on to organise national student movements across the world. John Mott received the Nobel Peace Prize in 1946 for his work in establishing and strengthening international Protestant Christian student organisations that worked to promote peace. Volleyball, another YMCA invention, became an Olympic sport. The first gold medal for the Men’s division was won by the Soviet Union. The Women’s division was won by Japan, who were hosting that year. The National Council commenced the first Training Centre for full-time youth workers to be established in New Zealand. 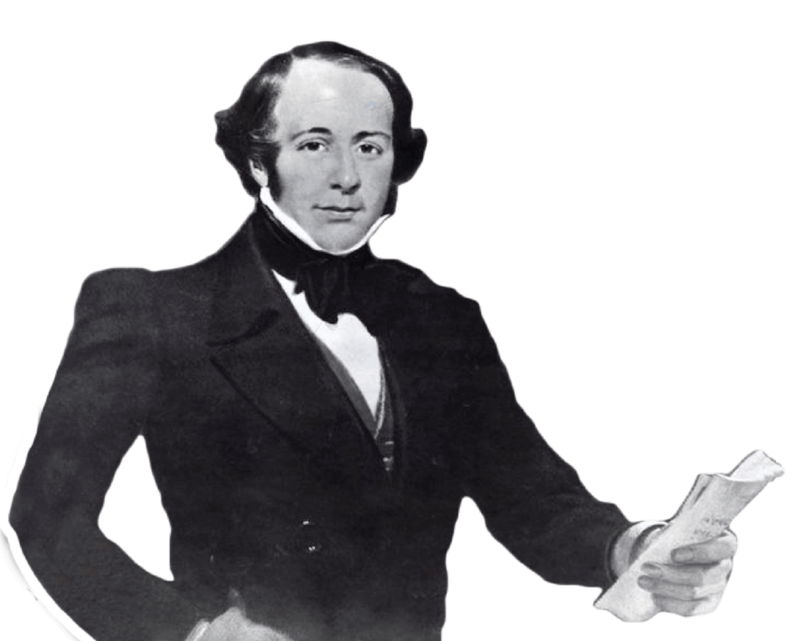 The World Alliance of YMCAs was founded in 1855 at its first World Conference, held in Paris. At that time, conference participants developed the YMCA’s first mission statement, the Paris Basis. Since then, the YMCA’s mission statement has been interpreted to reflect contemporary realities, first in 1973 with the Kampala Principles, and most recently in 1998 with Challenge 21. 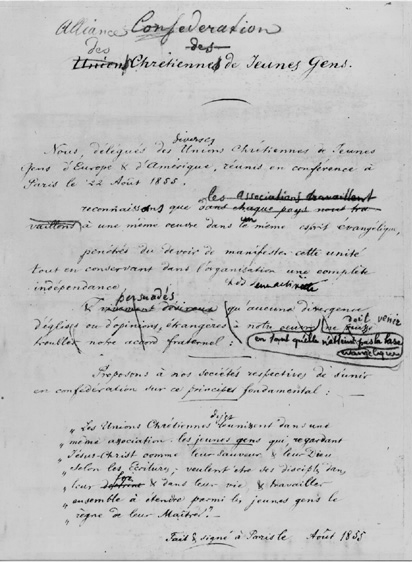 The Paris Basis was adopted by the delegates of the First World Conference in Paris in 1855. "The Young Men’s Christian Associations seek to unite those young men who, regarding Jesus Christ as their God and Saviour, according to the Holy Scriptures, desire to be his disciples in their faith and in their life, and to associate their efforts for the extension of his Kingdom amongst young men. Any differences of opinion on other subjects, however important in themselves, shall not interfere with the harmonious relations of the constituent members and associates of the World Alliance."